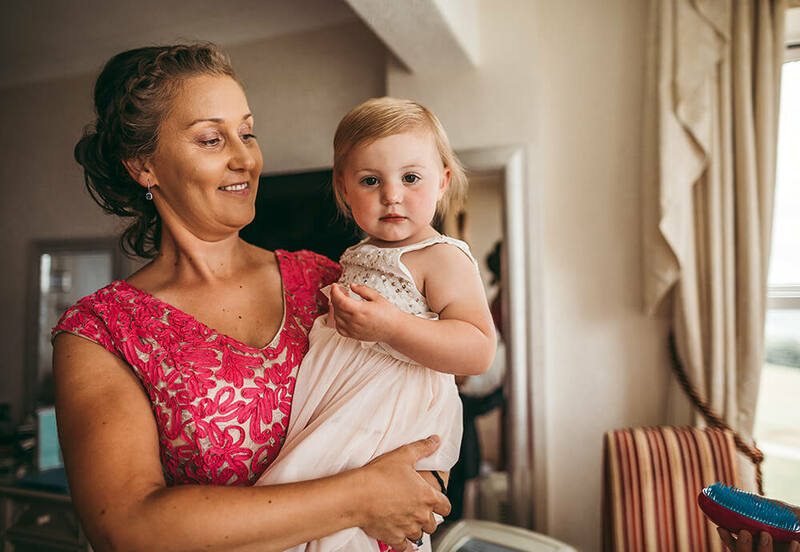 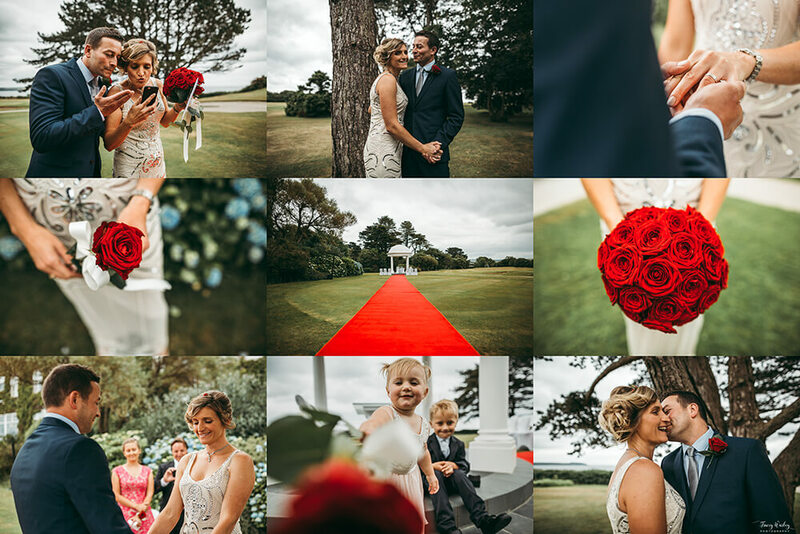 Last month I photographed a wedding that was very special indeed; booked with only four days notice, Frankie and David brought their wedding forward at short notice when Frankie’s mother was recently diagnosed with an illness. 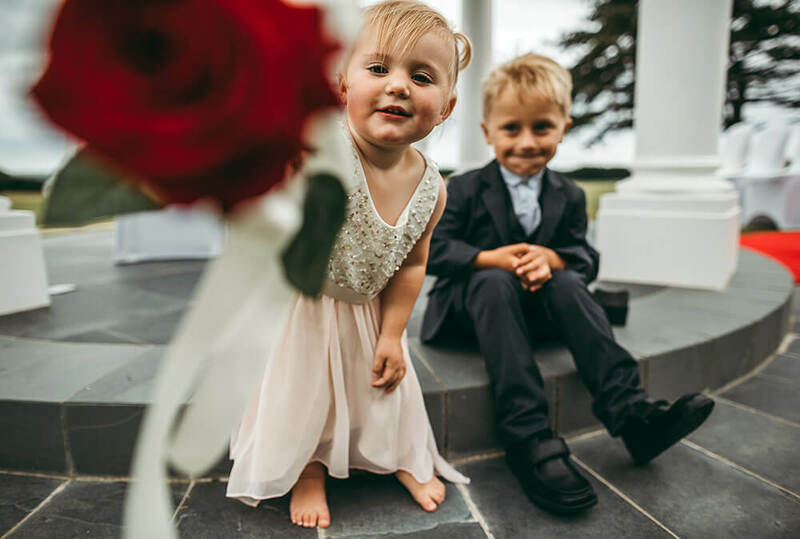 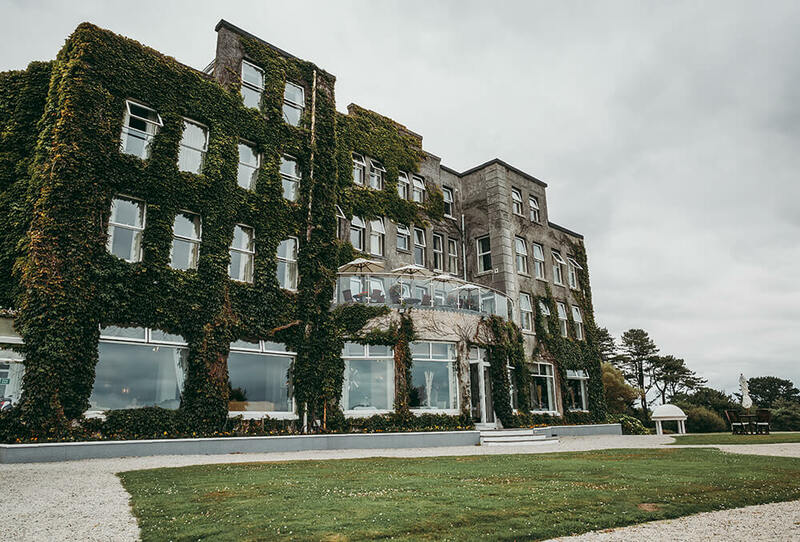 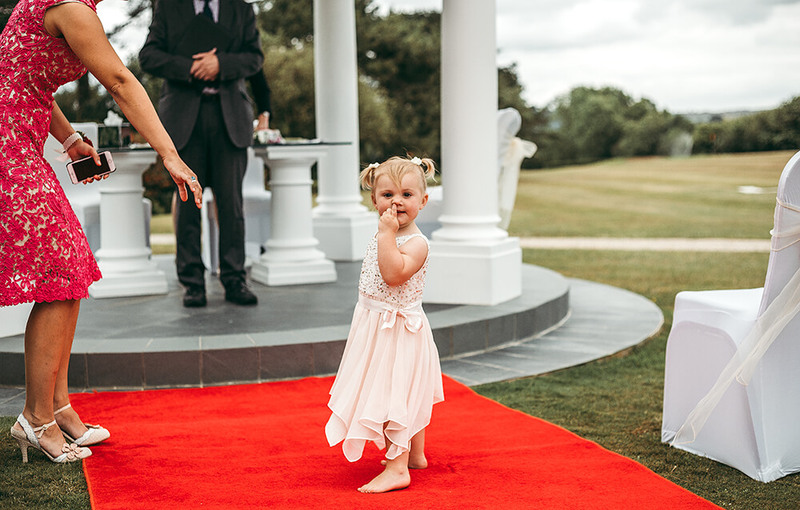 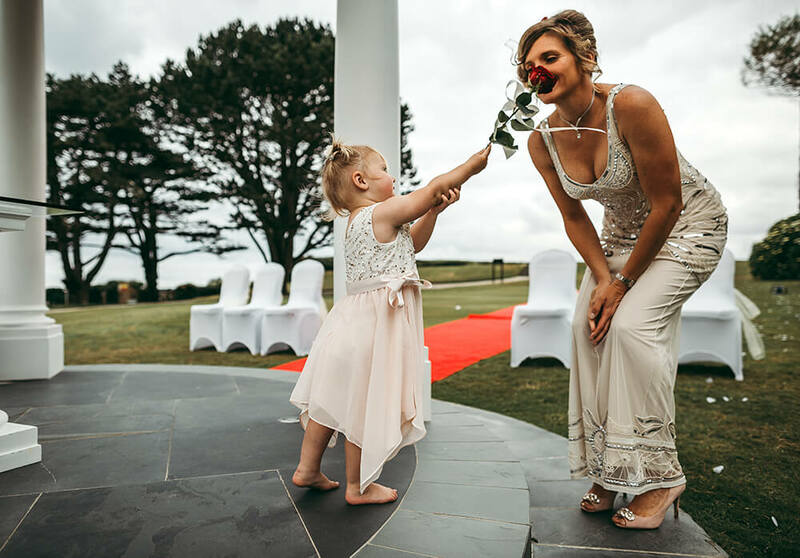 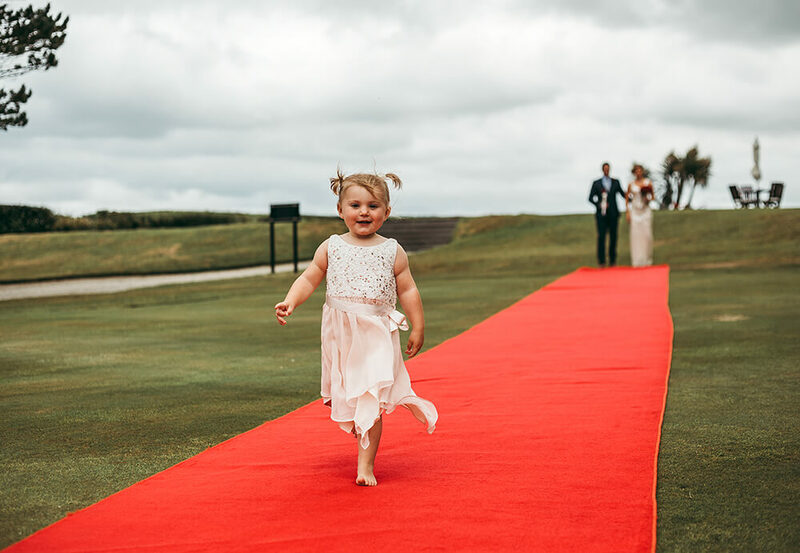 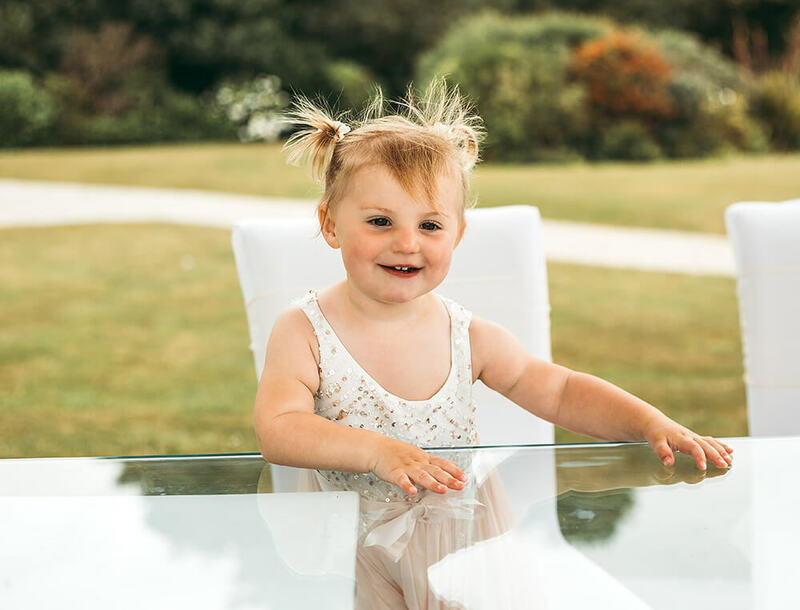 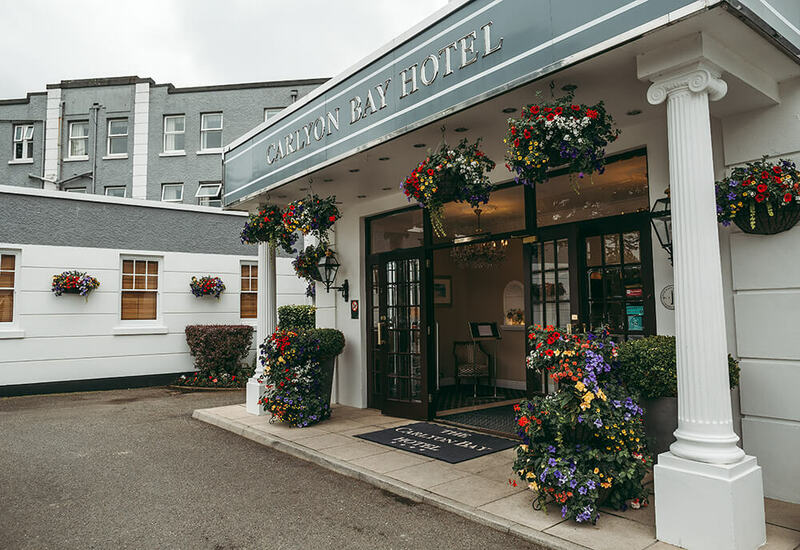 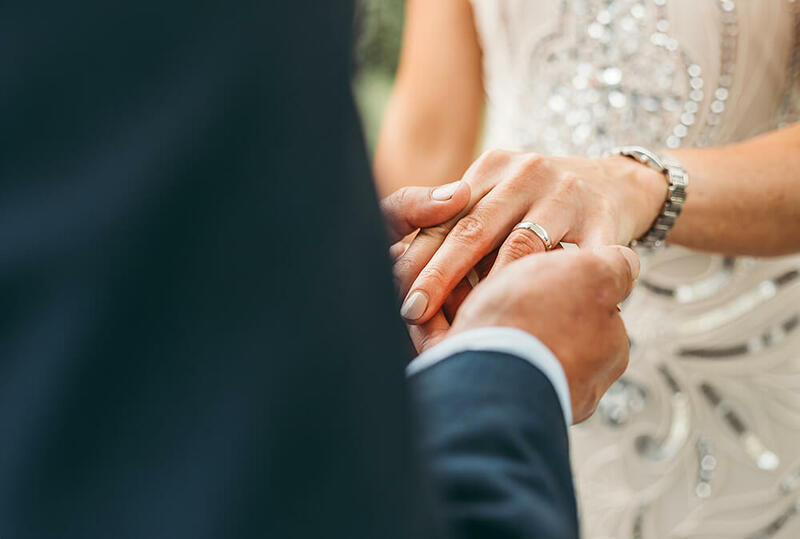 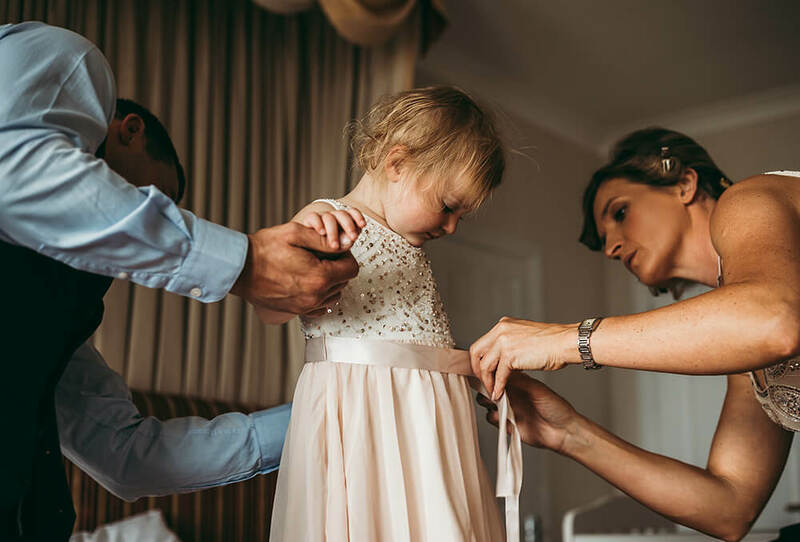 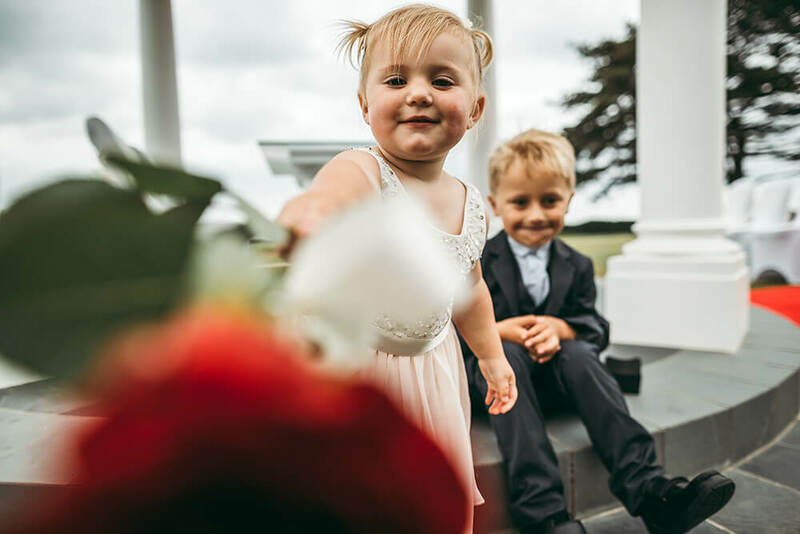 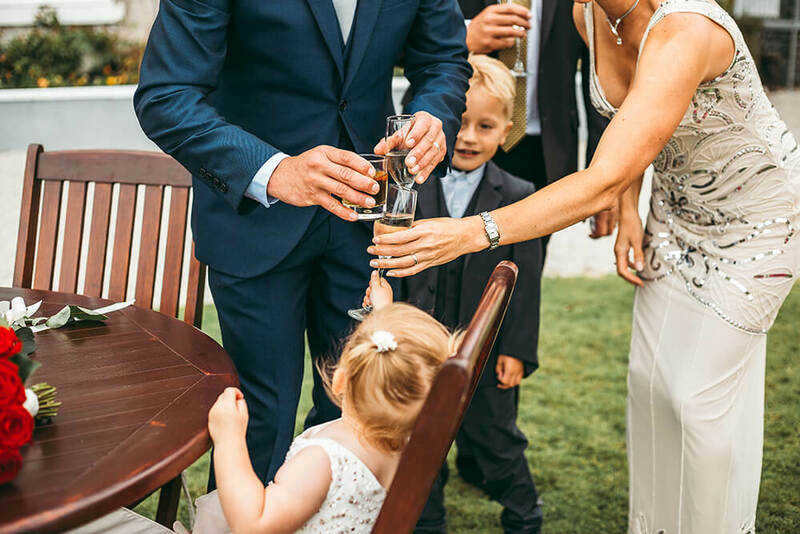 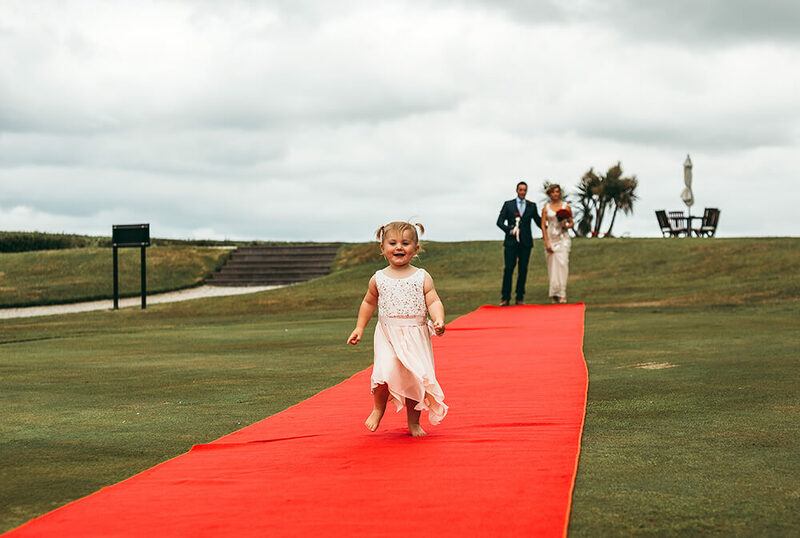 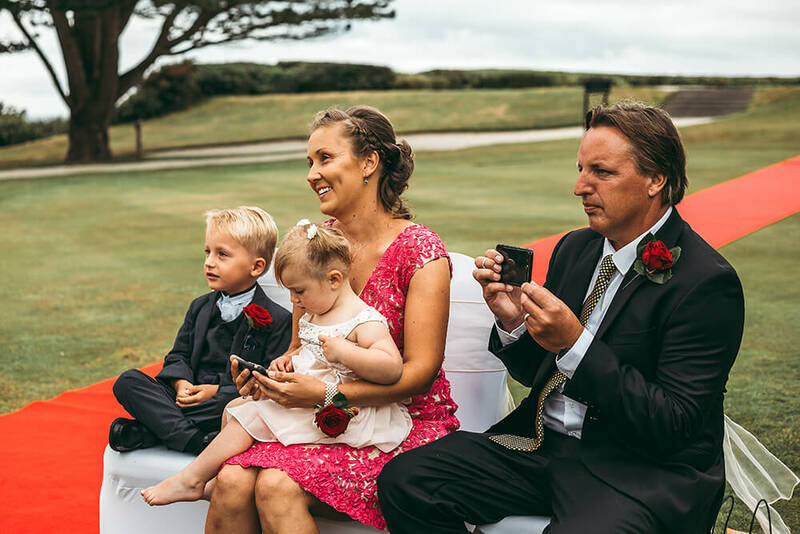 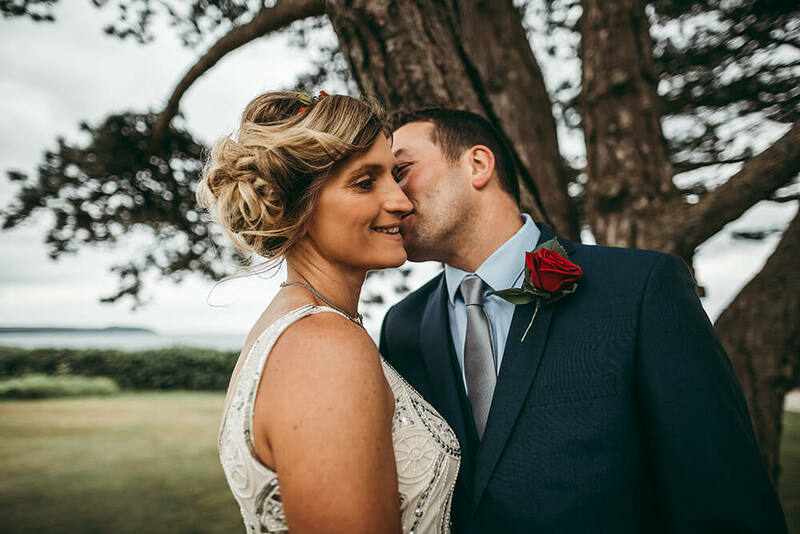 Travelling down from Devon to have their intimate wedding at The Carlyon Bay Hotel in St Austell Cornwall, the couple only had four wedding guests present- their little girl, two close friends and their friend’s son. 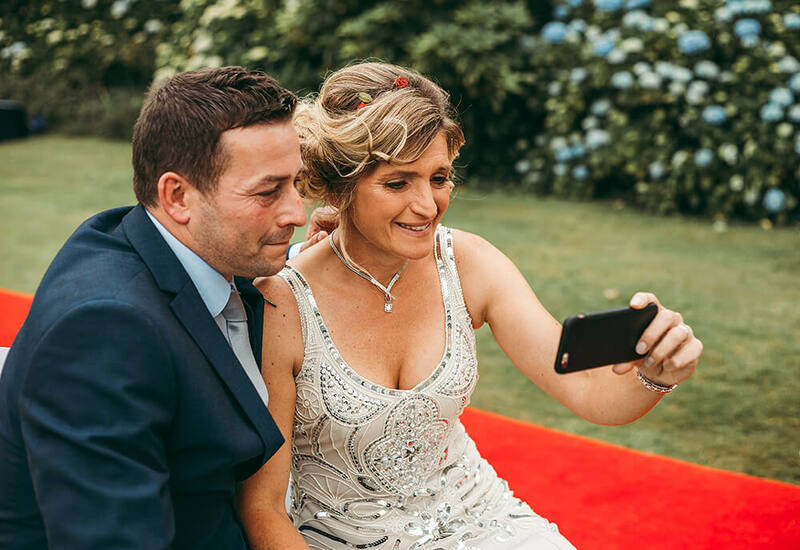 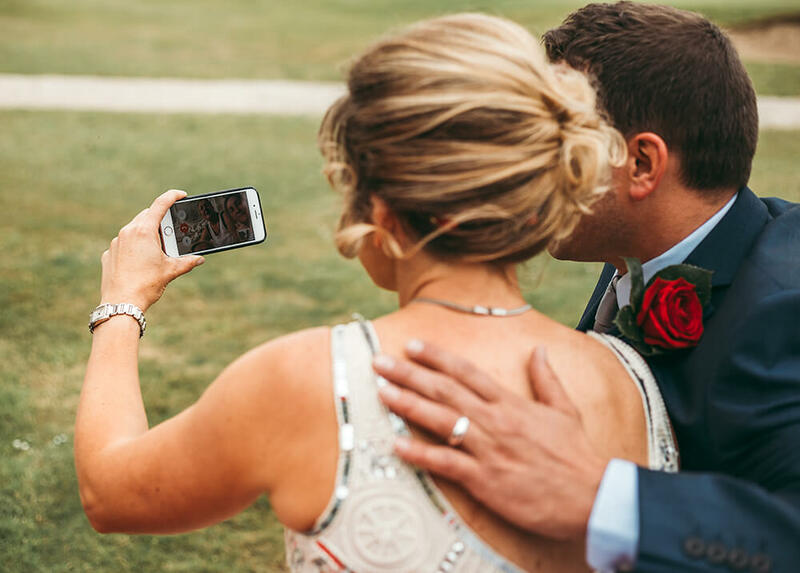 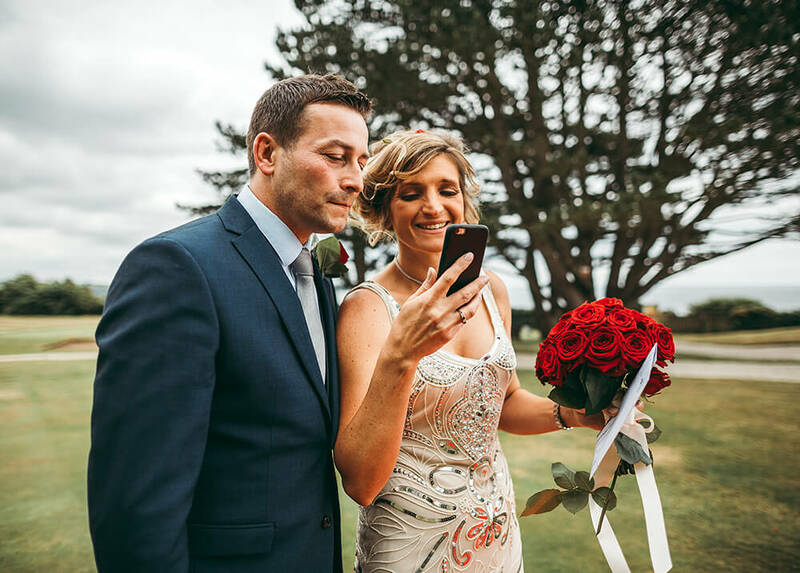 It was important to them that Frankie’s mother could share in the celebrations but as she was too poorly to travel, they arranged for her to watch the whole outdoor ceremony via Face Time. 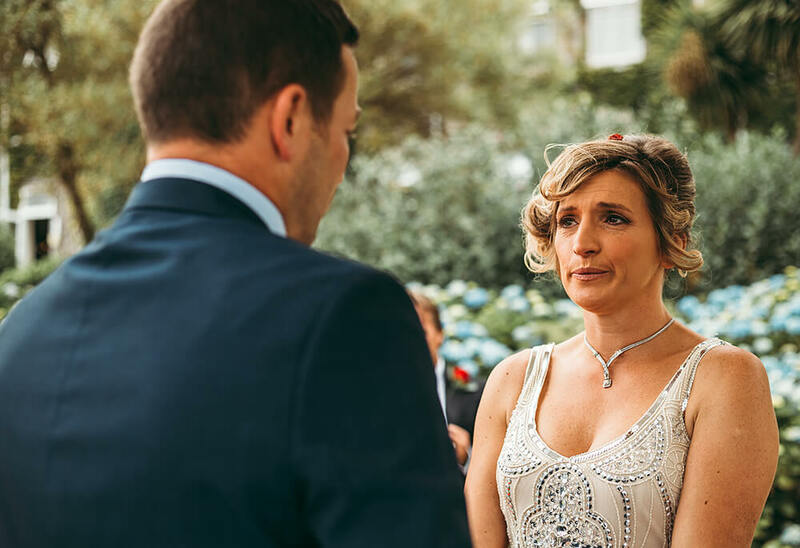 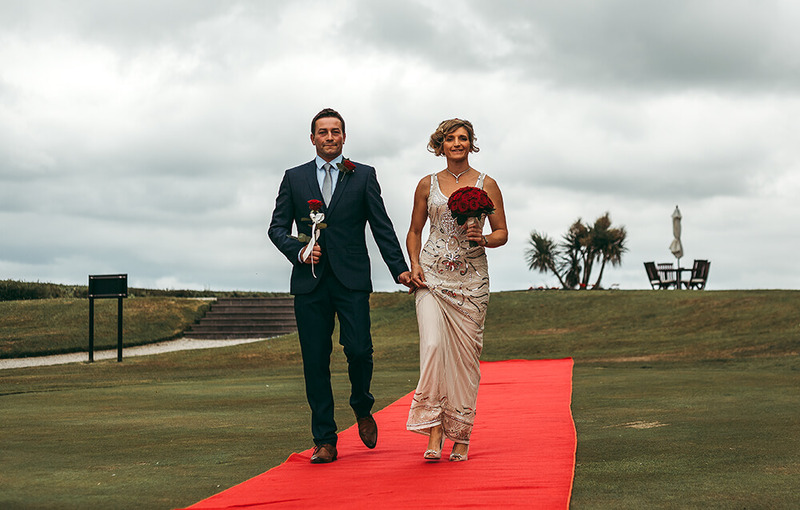 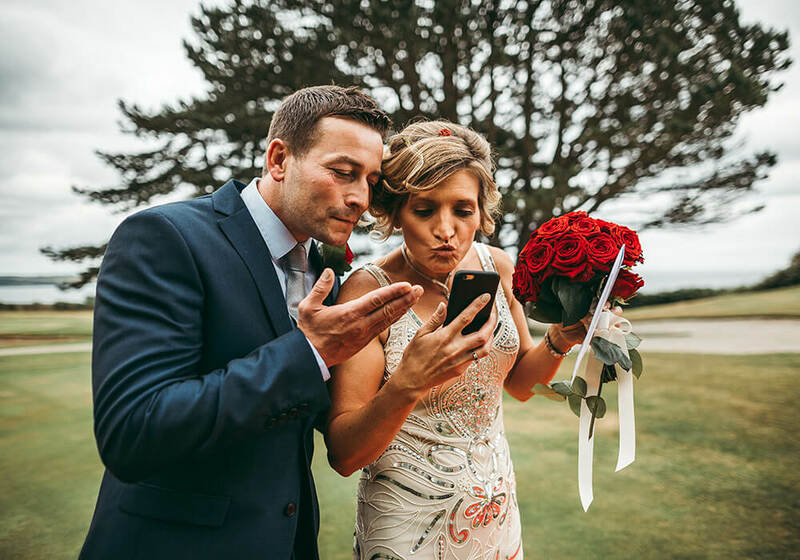 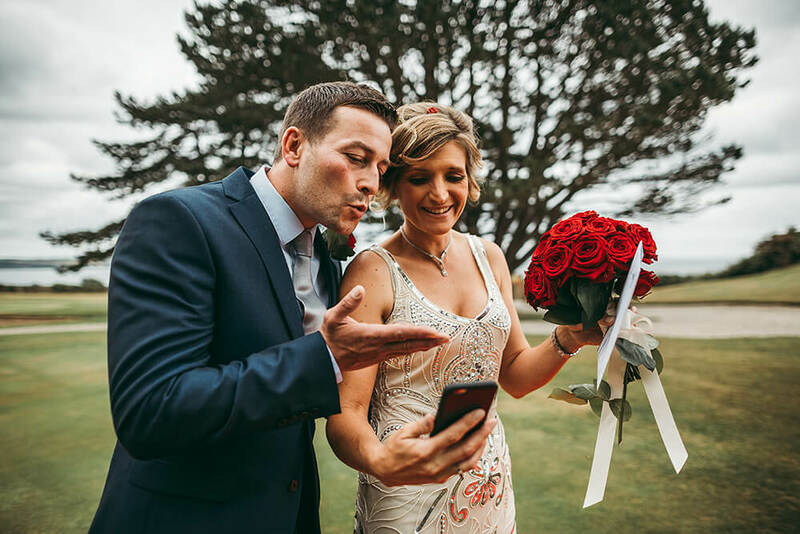 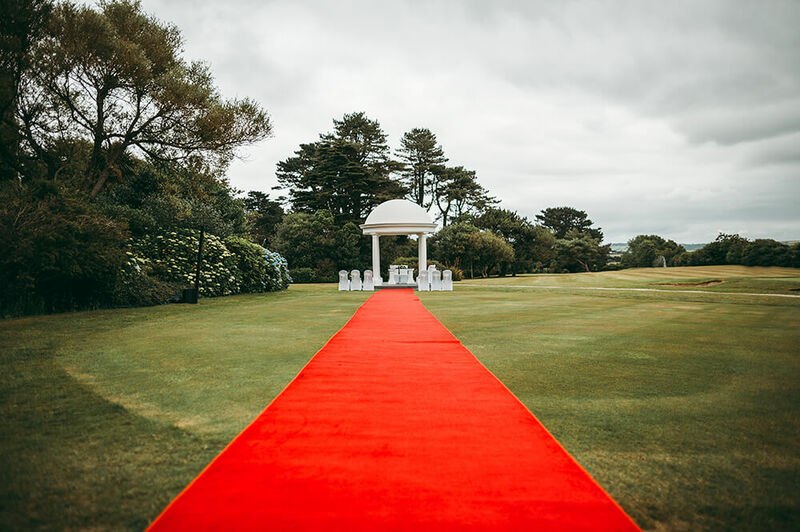 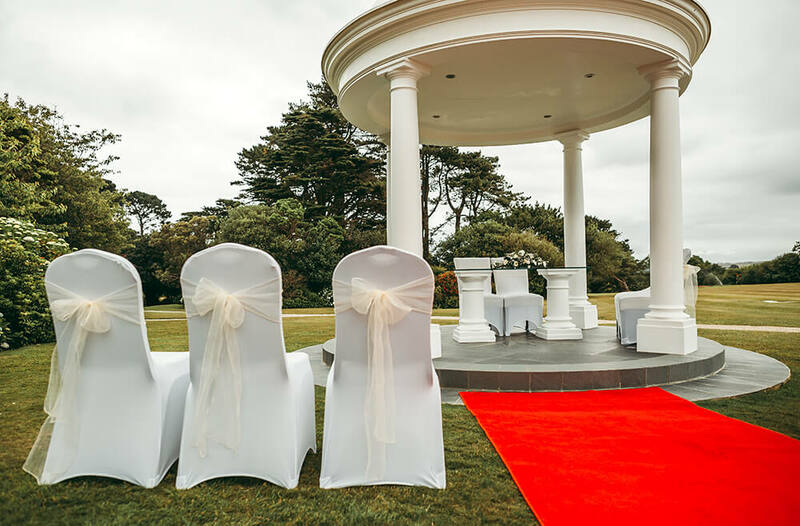 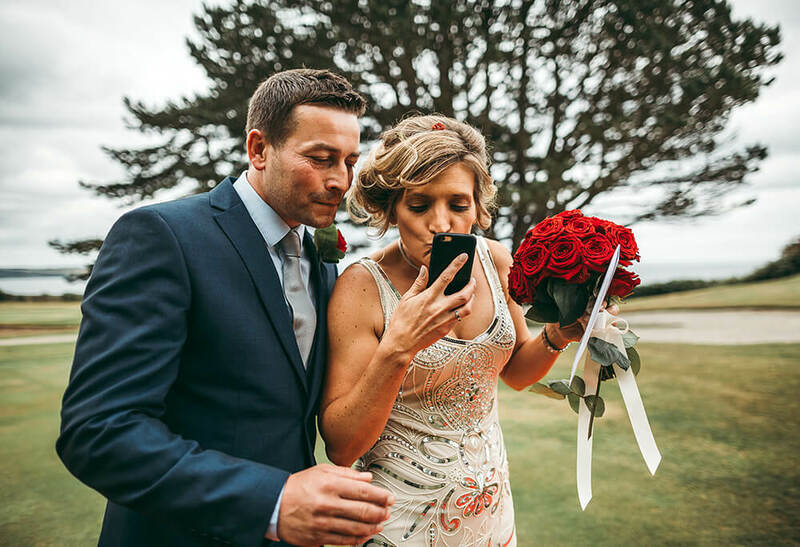 Frankie and David took their vows following a red carpet arrival in the gazebo within the grounds of the hotel, which has a cliff top position and stunning views across St Austell Bay. 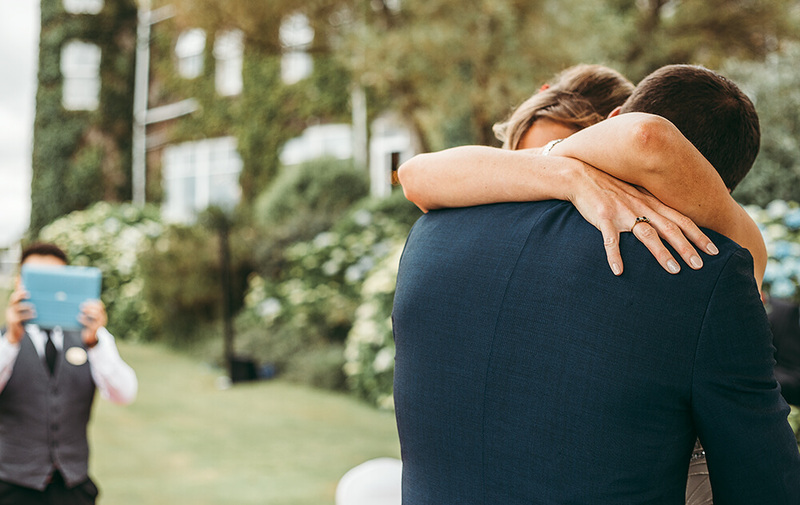 It was a beautiful and emotional day for everyone involved. 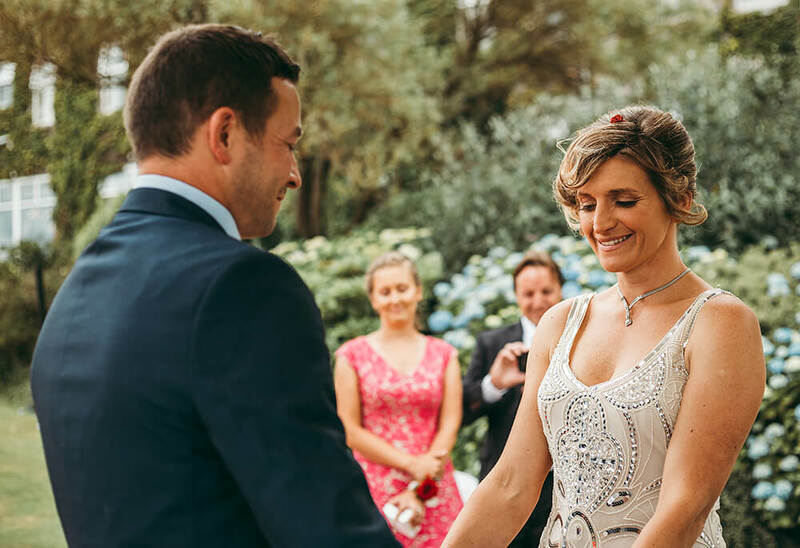 Frankie wore a beautiful 1920s inspired wedding dress heavily embellished with shimmering beads and sequins, with matching jewelled peep toe heels. 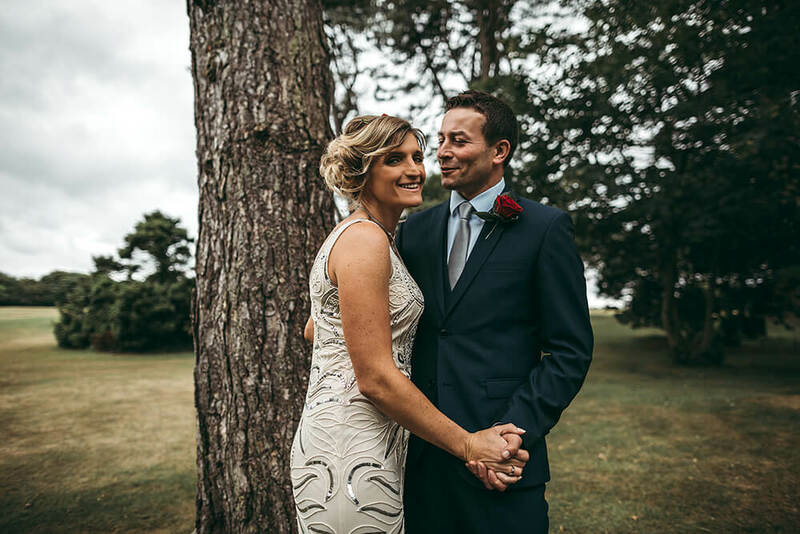 Dave wore a rich blue three piece suit with a sheer silver tie and brown leather shoes. 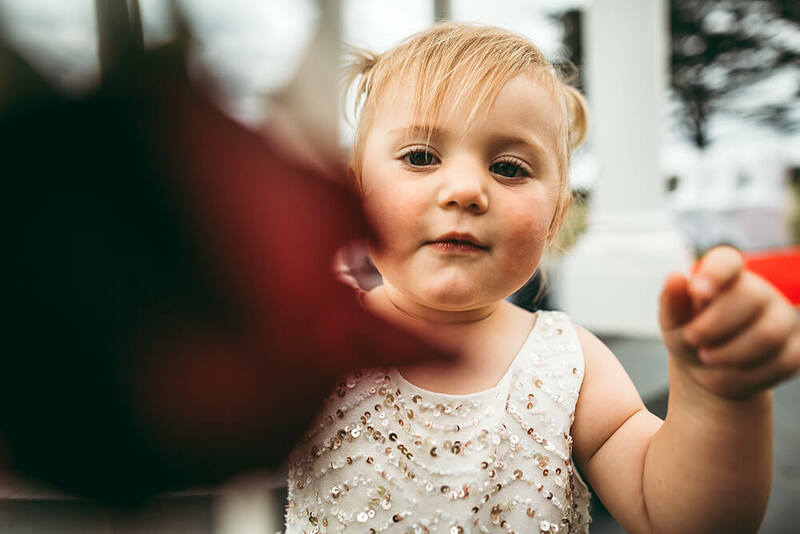 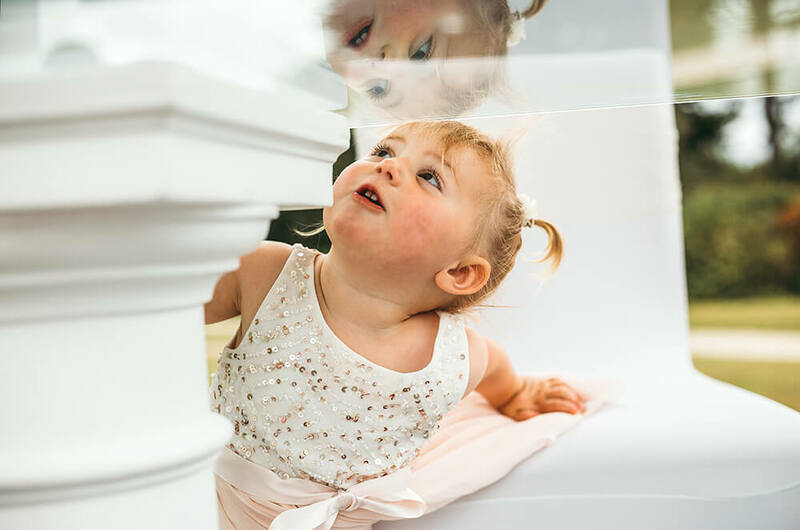 The couple’s two year old daughter was their flower girl; both cute and funny, she added a lighthearted and playful element to the afternoon. 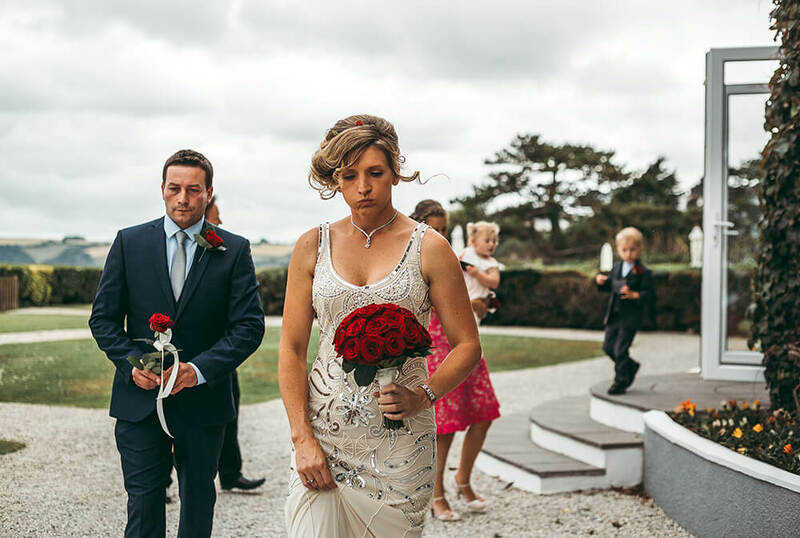 Frankie chose ‘Naomi’ red roses for their wedding flowers, provided by popular local florist Anna’s Flower Barn. 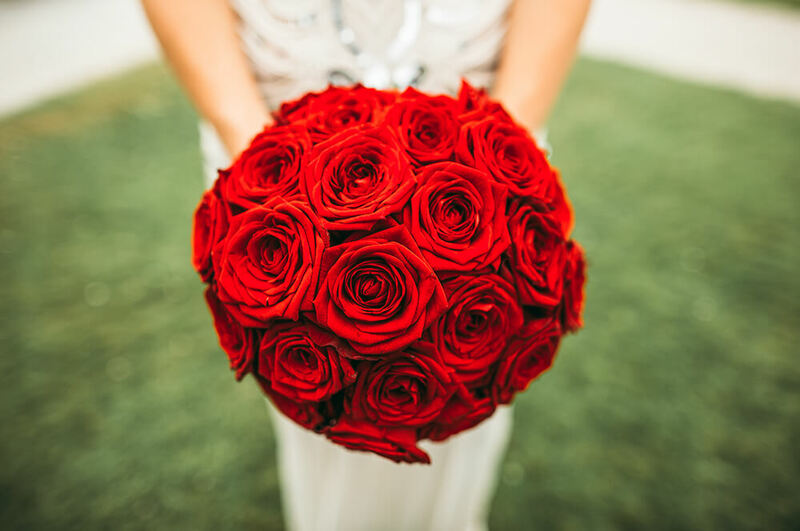 They had a special significance, as they were her fathers favourite flowers; he was sadly no longer with them. 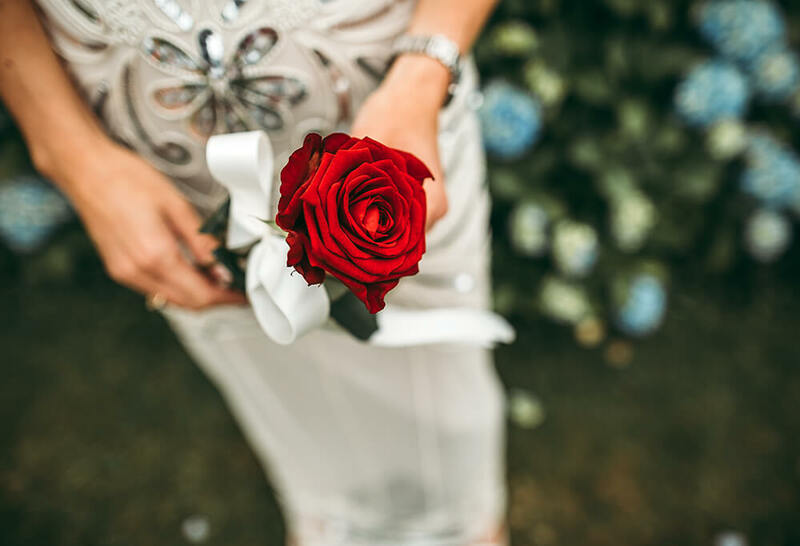 She is planning on having her beautiful bouquet preserved and is intending on giving this to her mother. 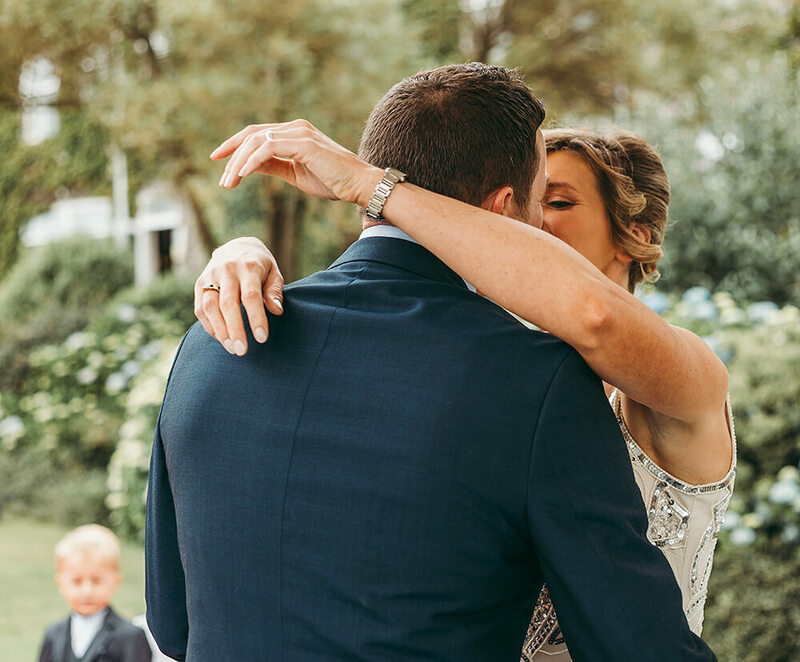 “I feel you really managed to capture the spirit and the emotions of our very special day. 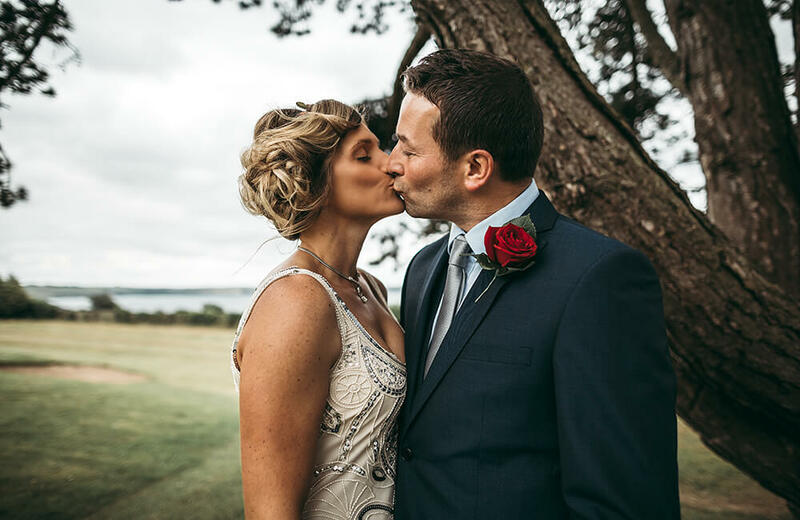 I can’t thank you enough for the way in which you dealt with us, your professionalism and empathy on a highly emotional day will always be remembered and I can’t recommend you highly enough.” – Frankie Medland.